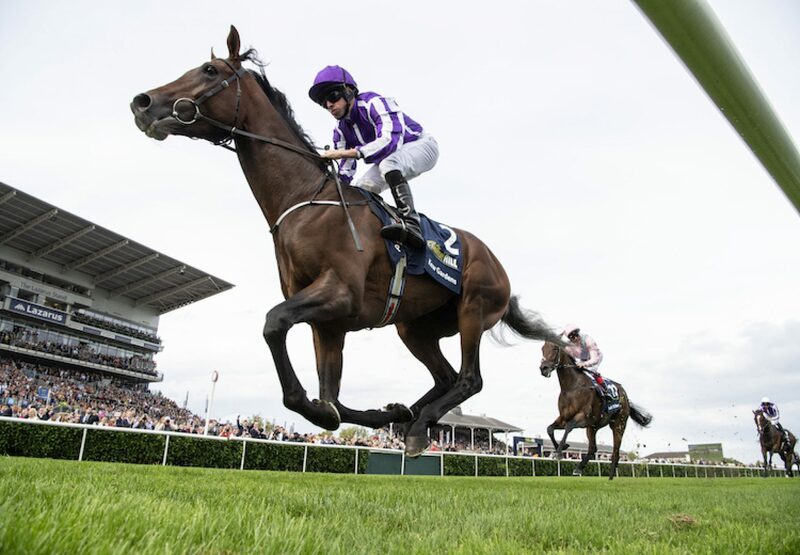 Another Classic winner was added to Galileo’s remarkable record on Saturday when Kew Gardens (3c Galileo-Chelsea Rose, by Desert King) ran out a brilliant winner of the G1 St Leger at Doncaster. The Aidan O’Brien-trained colt, already winner of the G1 Grand Prix de Paris at Longchamp, stayed on in great style to triumph by two and a quarter lengths from Lah Ti Dar. It was a sixth success in the race for O’Brien, who commented: “We’re over the moon with him. We always thought he was a horse who would stay well and we were delighted with what he did in France and at York (in the G2 Great Voltigeur Stakes). Jockey Ryan Moore added: "He travelled well and got there really easy. He’s a very uncomplicated, easy horse and he did it very impressively. He tries very hard and has a great attitude to life. He picked up really well and beat a good field." Derrick Smith’s colours are carried by the Barronstown Stud-bred Kew Gardens and he continued: “He’s probably going to be better on better ground but the contest suited him today. The way he made up the ground was impressive and then it was over in a flash."